Stocks allow you to own a portion of a public corporation. The owners sell control of the company to stockholders to gain additional funds to grow the company. This is called the initial public offering. After the IPO, the stockholders can resell the shares on the stock market. Stock prices are driven by expectations of corporate earnings or profits. If traders think the company's earnings are high or will rise further, they bid up the price of the stock. One way that stockholders make a return on their investment is when they buy a stock low and sell it high. If the company doesn’t do well and the shares decrease in value, then the stockholders lose part or even all of their investment when they sell. A second way that stockholders profit is if the company pays a dividend. These are quarterly payments distributed to stockholders on a per share basis. The company's board of directors pays dividends out of earnings. It is a way to reward stockholders, who are the actual owners of the company, for their investment. It's especially important for companies that are profitable but may not be growing quickly. There are two types of stocks: common and preferred. The stocks tracked by the Dow Jones Averages and the S&P 500 are common. The value of these stocks depends on when they are traded. Common stock owners can vote on the corporation's affairs, such as the board of directors, mergers and acquisitions, and takeovers. Corporations may also issue preferred stocks. They combine properties of both common stocks and bonds. Their values rise and fall along with the company's common stock prices. They are like bonds in that they always make a fixed payment. For that reason, most people don't sell their preferred stocks. In addition to the two types of stocks, there are many groupings of stocks that are often referred to as types. The stocks are grouped according to characteristics of the companies that issued them. These different groupings meet the varying needs of stockholders. Small cap stocks have a market cap of $2 billion or less. They are likely to grow quickly but are riskier. Mid cap stocks have a market value of between $2 billion and $10 billion. Large cap stocks have a market cap of $10 billion or more. They grow more slowly but are not as risky. Keep in mind that these category levels vary somewhat depending on who is making the definition. Growth stocks are expected to experience rapid growth. They don't pay dividends. Sometimes, the companies they represent may not even have earnings yet, but investors believe the stock price will rise. Value stocks pay dividends since the price of the stock itself is not expected to rise much. These tend to be large companies that aren't exciting, so the market has ignored them. Savvy investors see the price as undervalued for what the company delivers. Blue-chip stocks are fairly valued, may not grow quickly, but have proven over the years to be reliable companies in stable industries. They pay dividends and are considered a safer investment than growth or value stocks. They are also called income stocks. Basic materials - Companies that extract natural resources. Conglomerates - Global companies in different industries. Consumer goods - Companies that provide goods to sell at retail to the general public. Financial - Banks, insurance, and real estate. Health care - Health care providers, health insurance, medical equipment suppliers, and drug companies. Services - Companies that get the products to the consumer. Technology - Computer, software, and telecommunications. Utilities - Electric, gas, and water companies. Most people make money from stocks by buying, holding, or collecting dividends. They may buy low and sell high. There is a third, more risky way to profit from stocks: derivatives. As the name implies, these investments derive their value from underlying assets, such as stocks and bonds. Stock options give you the option to buy or sell a stock at a certain price by an agreed-upon date. A call option is the right to buy at a set price. 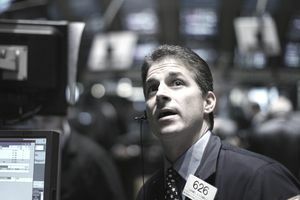 You make money when the stock price goes up, by purchasing it at the fixed lower price and selling it at today’s price. A put option is the right to sell at a set price. You make money when the stock price declines. This is called a market correction. In that case, you buy it at tomorrow's lower price and sell it at the agreed-upon higher price. Short selling is when you borrow a stock from your broker, sell it at today's higher price, and then buy it at tomorrow's lower price and return the stock to your broker. Short selling is very risky because if the stock price rises, you are out the difference. There is no limit to how high the stock price could rise, in theory. Most financial planners advise individual investors to stick to buying and holding stocks for the long term within a diversified portfolio to gain the highest return for the least risk.